The Topeak BabySeat II is designed to the highest safety standards from both the US and Europe with a seating body that is specifically designed to wrap-around your child and shield them from all angles. Part of this safety system is the integrated roll bar that doubles as a handle and provides extra head protection. We all know that safety isn't the only thing that makes for a good ride, comfort needs to go hand-in-hand, and that''s why Tree Fort highly recommends the BabySeat II. Topeak hasn''t left a detail out in this department, from a hight adjusting shoulder harness system, to a cozy seating cushion. 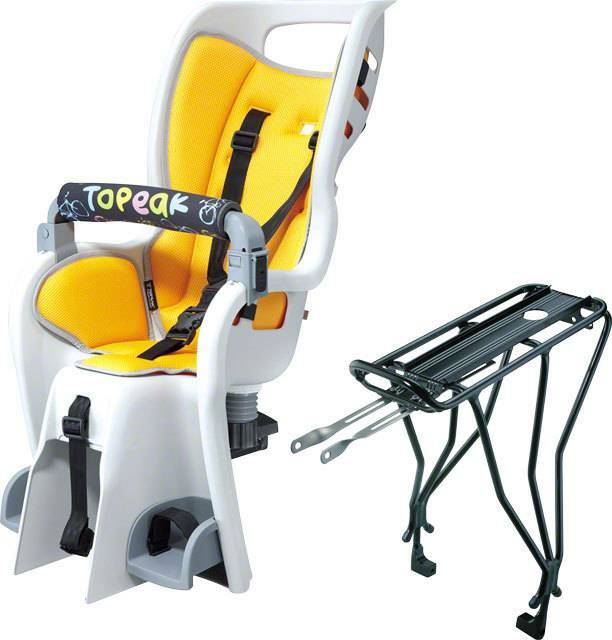 But, one of the best things to help keep the jolts from a bumpy gravel road ride from reaching your little one is the Topeak BabySeat II''s innovative suspension system. And, this Baby Seat grows with your child with it''s adjustable footrests and the adjustable shoulder harness mentioned above.